Lately I’ve really been feeling the deepest of desires to return to little boxes. I am completely bored with all the endlessly distracting things I can do with my computer. I love my mac (and my iphone and my ipad) but the computer is a nice visual arranger, and a solid tape deck. I’ve never really been completely at home with the visual element to writing and performing music on a computer. As I look around at sequencers, sub sequencers, and other noisemaking boxes I am often interested, but more often either bored before I’m done reading the specs, or I’m signing sadly because the thing is out of my reach. 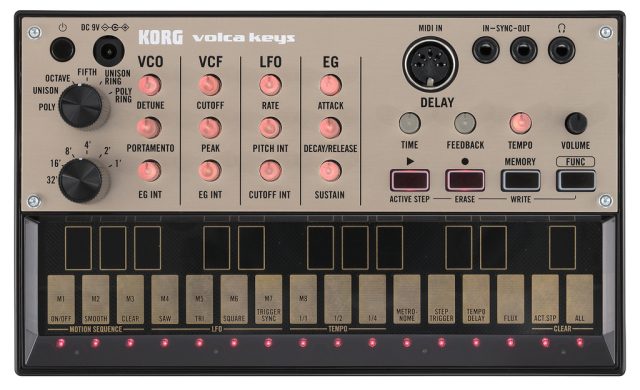 Well, Korg just announced a very sick series of three “analog” devices called volca. I was not a fan of the electribe devices a decade or more ago – not only did they sound bad, but the interface was complex and counter-intuitive to me. I did however really love the tiny little toy synths they released a year or so ago which sounded wonderful and while they were endlessly distracting (like a good little box should be) they didn’t connect to anything, or actually operate beyond novelty and toy. 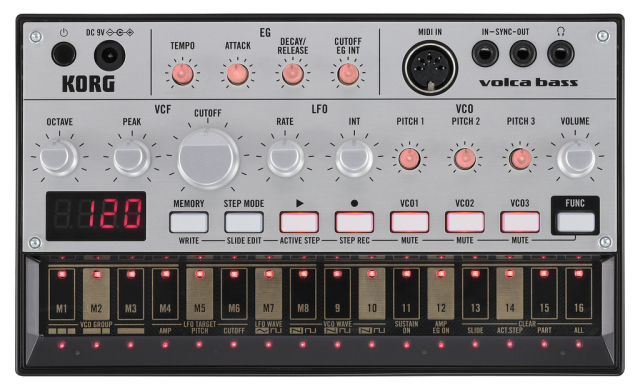 Volca on the other hand is a whole new brand of toy instrument. They come in three varieties: Key, Bass, and Beats. 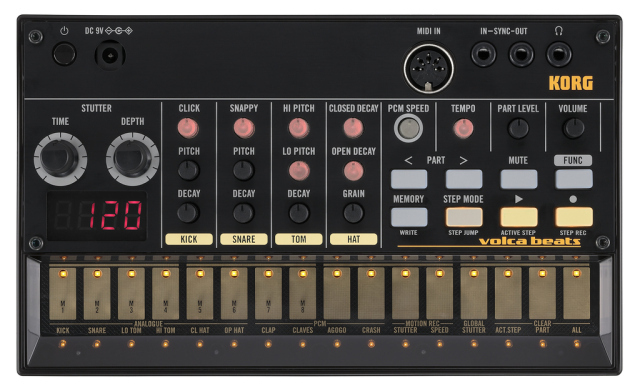 Each device features a pattern sequencer/loop recorder, and the bass and beats models have pattern memory. They also sync together, and the feature midi input so you can synth them to your main sequencer, or computer. This is amazing. I’m very excited about this. And the most wonderful part is that they promise a price point of possible – $149 each. Very cool. They are reported to be available in June. I can hardly wait!